After their rootsy alt-folk band Twin Forks, whose music I got to appreciate, Dine Alone Records treats us with Dave Monks’ new solo release, a first for the Tokyo Police Club bandleader. Very acoustic and rootsy an album, it makes one rediscover Monks as a solo artist who is even more confident and at the top of his art when he’s at his most vulnerable. Made of six songs only, but each of amazing quality, All Signs Point to Yes is worth purchasing, if only for “Summer Dream” which I wanted to add to my “Summer Favourites” playlist as soon as the chorus kicked in during my first listen. I always find it refreshing in 2015 to listen to potential hit songs that don’t sound like pre-existing material. But Dave Monks is one gifted songwriter, and the fact that he made pure solid folk rock music is even more enthralling. His enthusiasm for the city of Brooklyn and his romantic relationship are what inspired him to start writing his album two years ago. Needless to say, love and the “sense of belonging” are key themes in All Signs Point to Yes. In the song “Vegas,” Monks sings, “I think I knew that this would be the start / I think I want my heart to be your heart / I’ve come a long, long way now.” Not only does it explore the feeling of authentic love, but it also seems to be hinting at the culmination of his project. It becomes obvious that falling in love felt as right for him as writing it. Monks put the time in refining his music according to his own image and idea of it, which was the focus on his warm voice and guitar. The percussion being minimalistic, with some drum kick and tambourine, the guitar strumming is what really makes the arrangement lively, for the most part. The overall mood felt darker in “Gasoline,” as if Monks, to continue on the same path of laying bare his heart, were showing us his insecurities and strong need to preserve what seems almost too good to be true: “Lovers fall and break their hearts / But I need one to keep.” The short break where his voice is only supported by the organ-like sound, before the chorus line hits again, has a thirst-quenching effect. Monks doesn’t let go of that mood just yet and sings “The Rules” for his friends Michelle and Michael, who are experiencing heartbreak. The instrumental however is quite joyful for its recurring piano major chord sequence. After forty seconds, when the drum kicks in and the pre-chorus starts off with, “Well, I don’t make the rules / I just play along,” one’s instantly hooked. I would have enjoyed the fact that he chose to add strings to the final version of the song, if it hadn’t been at the expense of the piano which had been promising in the intro. The vocal arrangements and acoustic guitar riffs in “Miss You” are perfect. 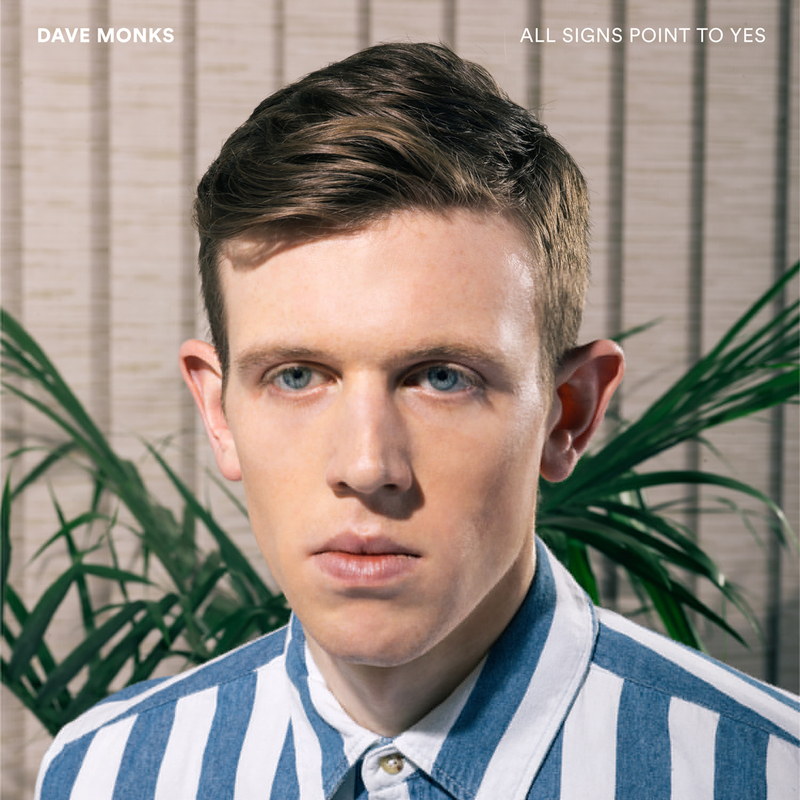 All Signs Point to Yes is definitely “hit song” material, but I must say “Summer Dream” remains the most catchy and moving song to me, because it really does justice to Dave Monks’ genuine sense of melody. My only criticism, which will be more of a praising, to be fair, is that I wish there had been more songs on the album, because All Signs Point to Yes is truthfully addictive!